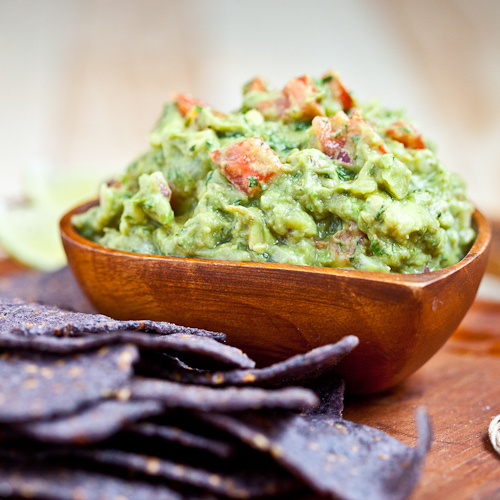 Any game day gathering means plenty of chips and dips. 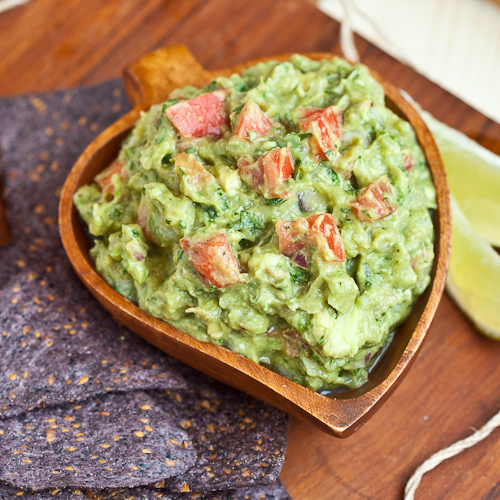 Whenever possible, this chunky guacamole makes an ever-popular appearance in our lineup of chips and dips. The guacamole is always good to the last drop. Or scoop. After the party, there’s nothing left over where the guacamole once sat. Last year, someone in our home (Hubby) found himself frequently hunting down a nighttime snack to help keep him awake for those late-night work deadlines. Nights like that can feel like college all over again, except it feels a little worse when you’re no longer 19. Snacks. Our pantry is stocked with a variety of snacks….but alas, let’s not steal from the kids’ lunch box stash. 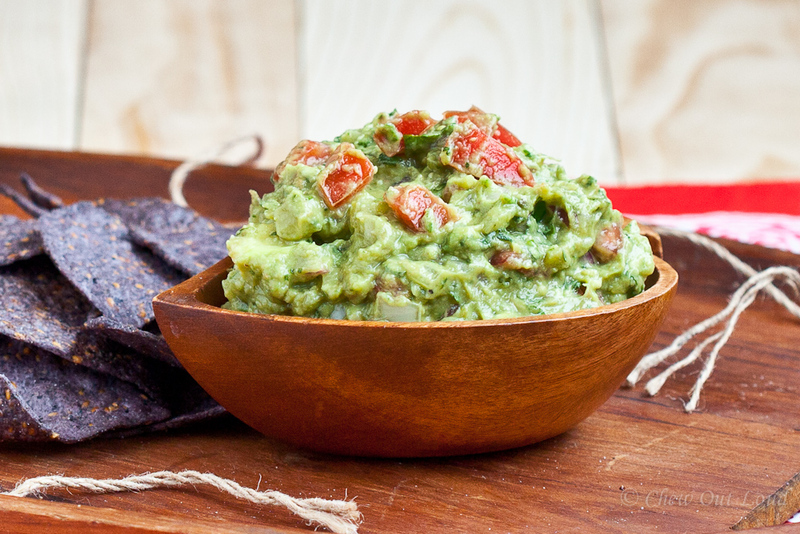 We love homemade guacamole for its fresh, bold, and addictive flavor. But what I secretly relish are the abundant antioxidants in this yummy dip…it’s a total win-win snack. Munch on, feel great, and enjoy! Peel and mash avocados with fork. Combine with juice of 1 lime and chopped red onion, mixing to combine well. Add rest of ingredients and mix to thoroughly incorporate. Serve immediately with corn chips, for best color/appearance. If serving later, keep guacamole in airtight container, with cling wrap set directly on top of the guacamole, to seal out air. Place in fridge until ready to serve. Enjoy! Despite the fact that fall leaves are long gone and bare branches lay in their stead, it’s technically still fall. That’s hard to remember in these zones. It’s been a rough year for apples, and apple pickings were sadly slim, but our favorite Honeycrisp variety remains plentiful at the stores. 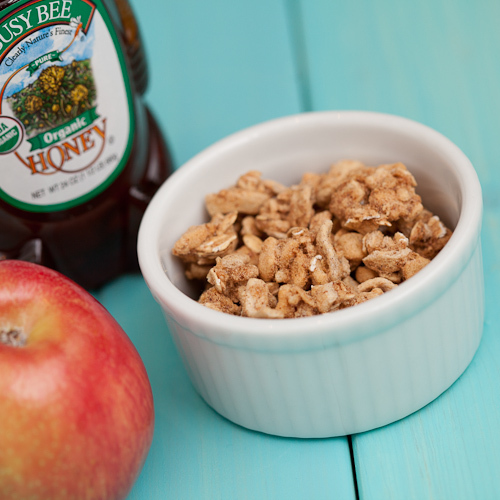 Our fridge is happily stocked with those crisp apples with honey-like sweetness. 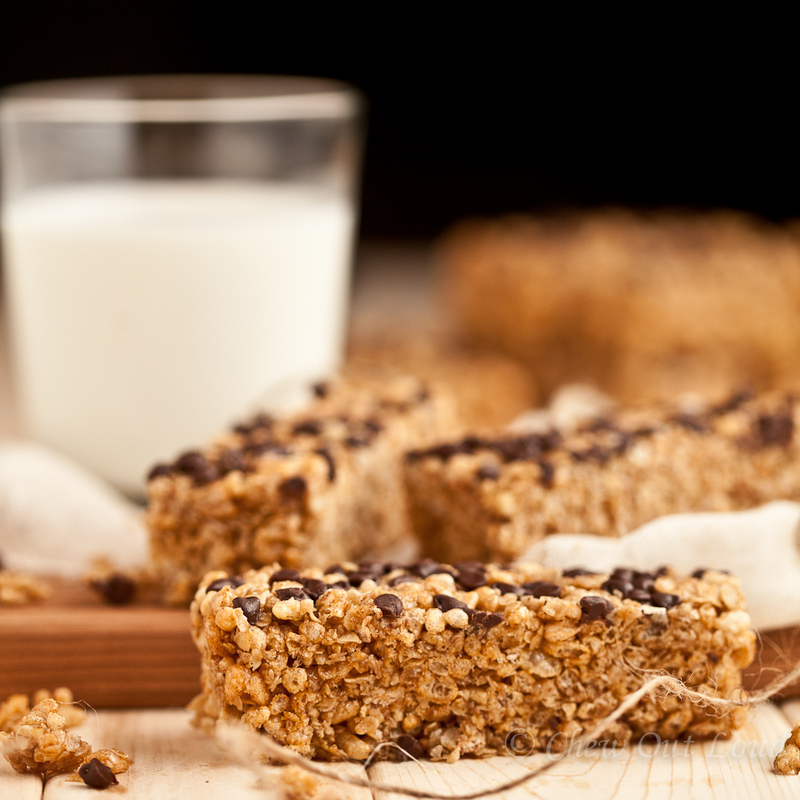 After the Thanksgiving holiday, where some of us (me) indulged in more rich desserts than we (I) care to reveal, it’s time to gift you with a healthier treat. This fabulous honey yogurt fruit dip is bursting with fall flavors. It’s a no-guilt cure for the sweet toothed – real honey, vanilla greek yogurt, and cinnamon makes up this lively fruit dip. 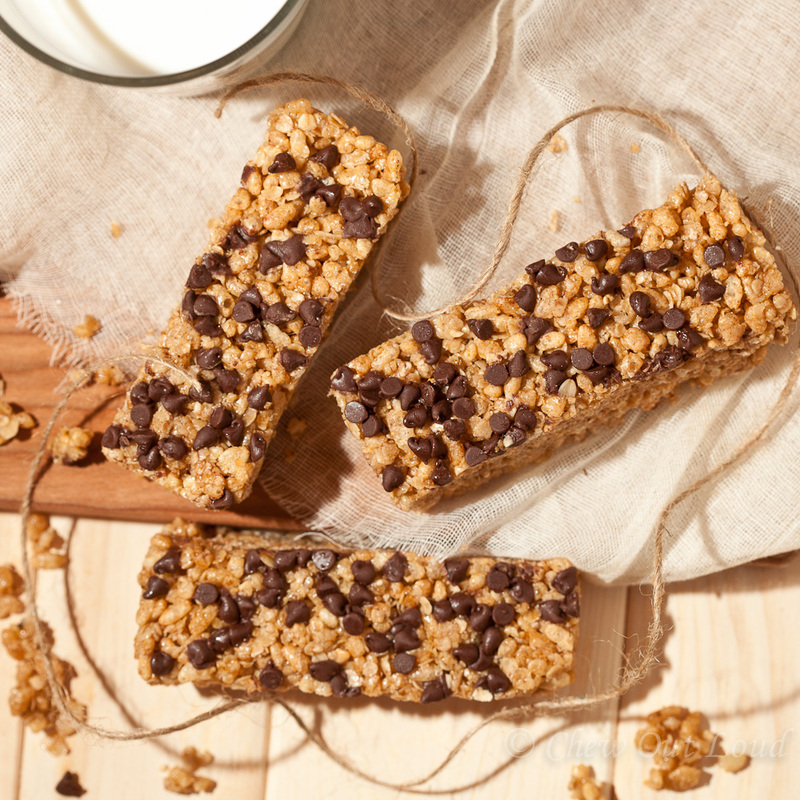 We love adding generous sprinkles of crunchy granola to give it that extra crisp texture. 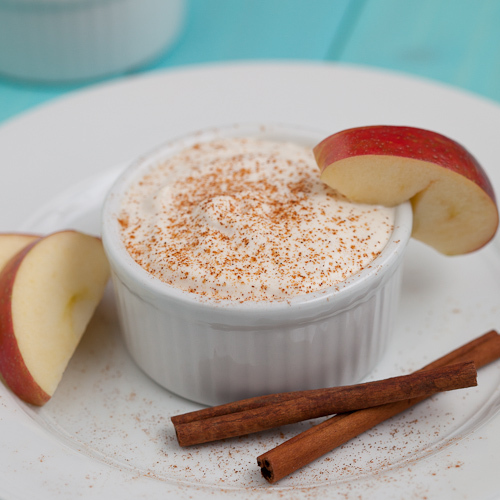 Dip your favorite varieties of apples or other fruits into this dreamy dip, and you’re set. My little ones lapped it up, begging for more apples so they could scrape up every last bit of their dip. They enjoy plain old apple slices, but the honey yogurt dip brings any slice of fruit to a dessert-worthy level. Greek yogurt tends to be higher in protein, and is thicker than many other yogurts. If you use a thinner variety of yogurt, it won’t set up as thickly, but it will probably still taste fab. I use honey or vanilla yogurt so the honey and cinnamon can take center stage, but feel free to experiment with flavors. This will make about 1 1/2 cups worth of yogurt goodness. It keeps very nicely in an airtight container in your fridge. Gently mix together all ingredients except whipped cream. Fold in whipped cream and chill. 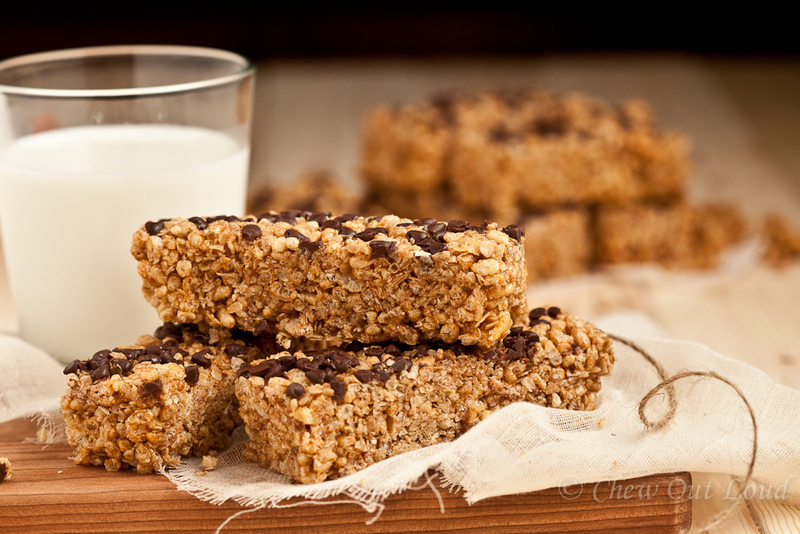 Serve with slices of fruit and granola. Place beaters and medium bowl in freezer or fridge to chill. Measure out 1 cup heavy whipping cream, 1 tsp vanilla extract, and 1/4 cup powder sugar. Put cold ingredients into cold bowl and beat on medium/high until still peaks form. 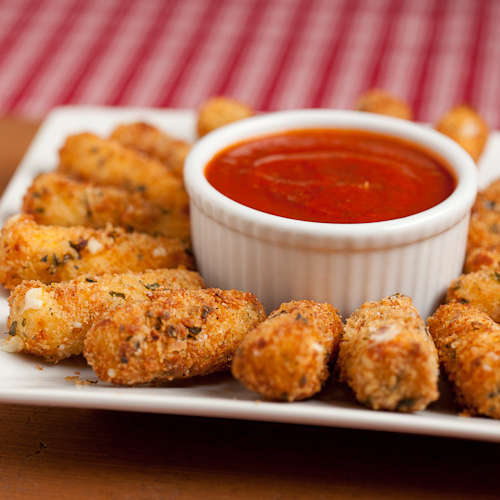 If you are a cheese fan and enjoy a good crunch, you’ll really appreciate these Panko Mozzarella Sticks. They are absolutely the perfect finger food. These cheesy snacks will be snatched up in a wink if you serve them up for Game Day… or any day, really. Gooey warm Mozzarella is encased by a beautifully crisp exterior – thanks to Panko breadcrumbs, in lieu of traditional bread crumbs. Panko is definitely in. Thankfully, a bag of Panko can easily be found in Asian aisles of most large grocery stores these days. If you’ve never worked with Panko before, it’s only fair to warn you that you just might become addicted to the stuff. It is extremely versatile. 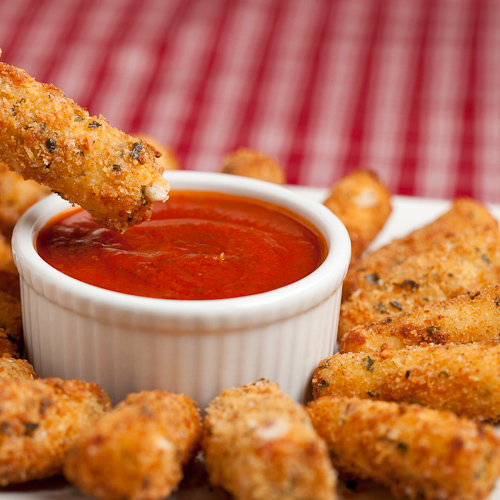 Panko can be used to coat anything from these cheese sticks to seafood to chicken. Just use them in place of your standard bread crumbs, and be prepared for an extraordinary crunch that surpasses the old stand by. The hubby and kids were all over this crispy, tasty finger food. It’s so much fun to be treated to one of our favorite appetizers without setting foot in a diner. 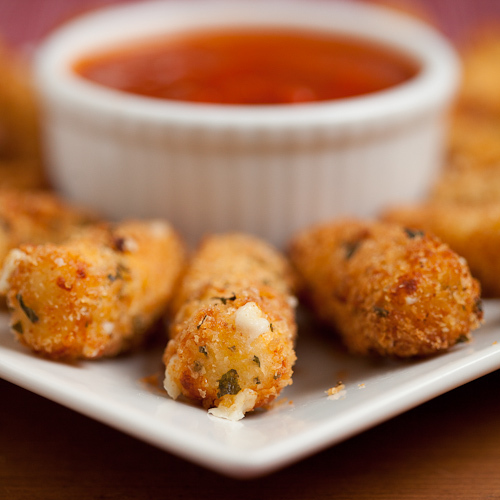 Not to mention these mozzarella sticks are tastier, crunchier, and meltier when you do them at home! But, do serve them up while still hot, so the yummy cheese is savored while it’s still very melty and delish. Most of us won’t have a problem devouring these while still fresh and warm. Chances are, they won’t be sitting around very long at your party. Enjoy! Place flour in a small dish. In another bowl, mix together the eggs and milk. In a third bowl, combine panko bread crumbs with garlic powder, onion powder, pepper, and oregano. 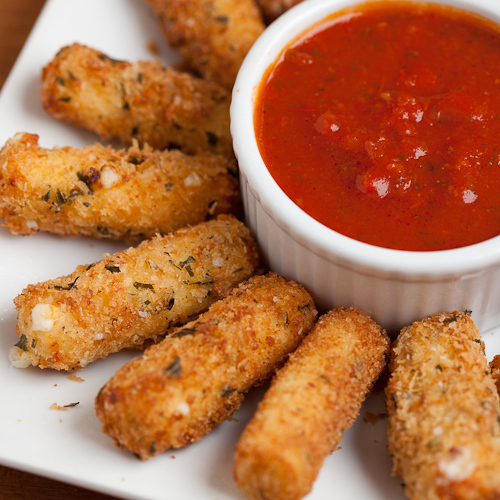 Cut mozzarella sticks into halves. Pour oil to fill a third way up to halfway up in a heavy sauce pan. Using a thermometer, keep oil steady at 365F. Remove frozen mozzarella sticks and fry a few pieces (don’t crowd) at a time, keeping oil temp at 365F throughout frying process (you’ll have to play with turning heat up or down as needed.) Fry about 25-30 seconds, turning sticks until they are an even golden brown, and drain on paper towels. Try not to let cheese leak, but a few tiny bubbles are fine. Continue until entire batch is made. Serve with your favorite marinara sauce and do eat these while hot! For whatever reason, I didn’t care for chocolate as a kid. My mom would buy chocolate bars that would remain untouched by me. As an adult, I could quite possible live on aforementioned food. I can also survive on ice cream. In fact, I eat at least one teeny tiny bowl of ice cream almost every day, to ensure I continue to survive. So, I heard it’s ice cream week. 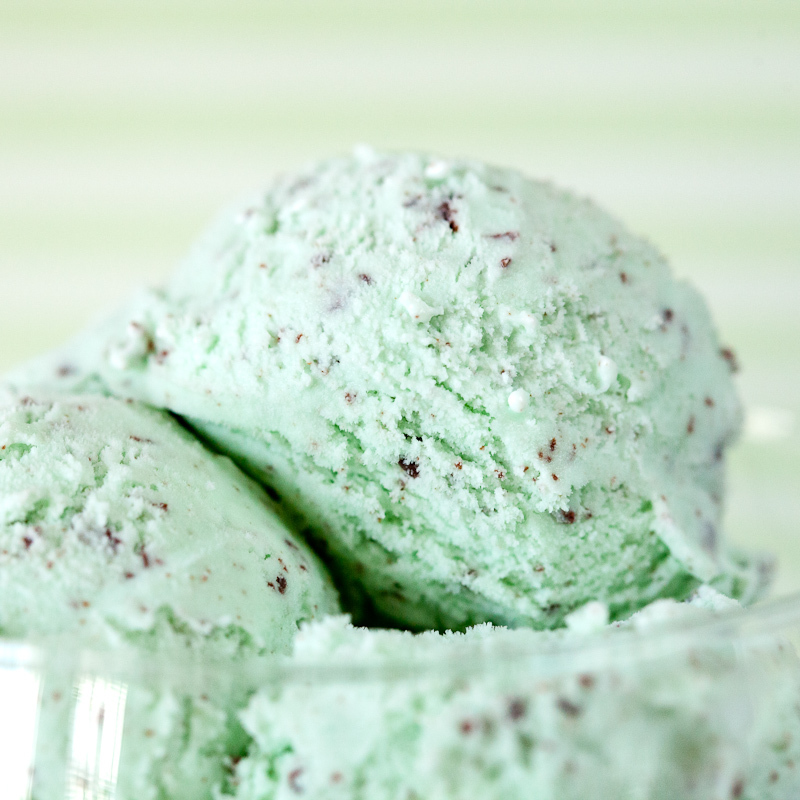 In honor of this very important week, I made my family’s favorite flavor: Mint Chocolate Chip Ice Cream. Ooooh, gooood. 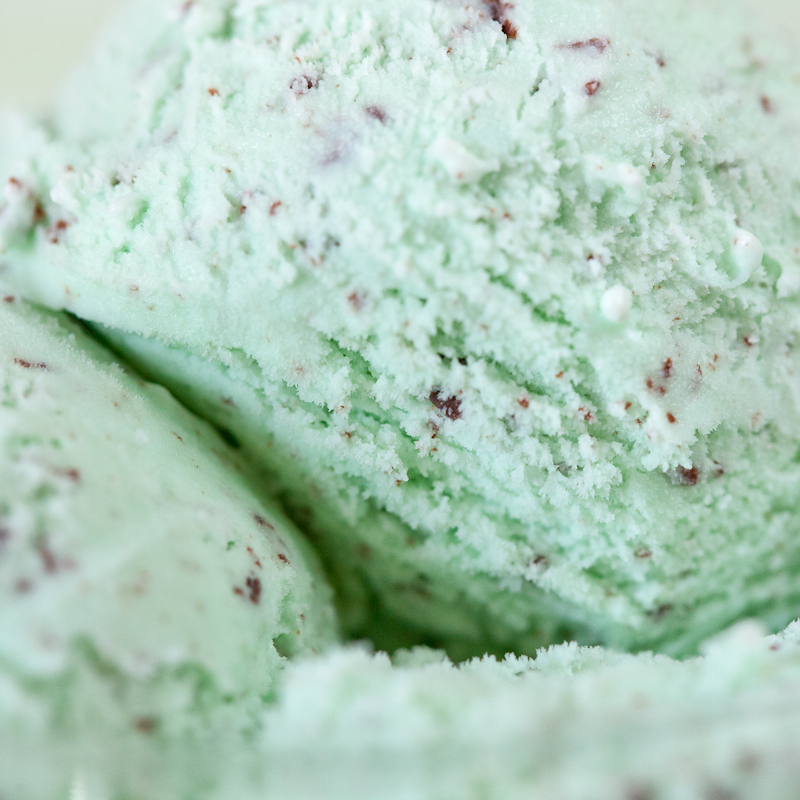 Did you know mint chip ice cream is referred to as peppermint bon bon in the Midwest? I did not know. Until I stepped up to the window at an ice cream shop a year or two ago and asked to “see what the bon bon flavor looks like.” Oh. Isn’t that the same as mint chip? Why didn’t they write that on the chalkboard menu? When Hubby finally was able to sample (after the kids swooped in front of him to grab their minty bowls), he didn’t speak. Bite, swallow, bite. Yes, he affirms: His favorite frozen treat is just as good home-made as the ones he would stand in line to buy. 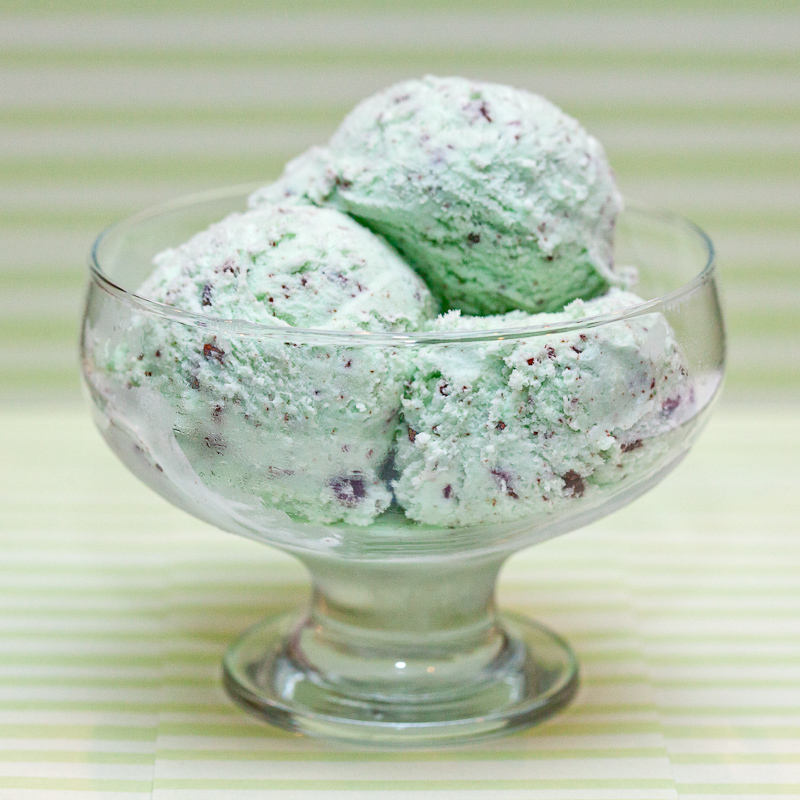 Maybe even a tad better, because you can amp up the mint factor and chocolate bits as you wish. Grab your spoon and go! Just try, try to give the ice cream time to firm up in the freezer for a few hours before digging in. Of course, some of us don’t mind taking a few test bites of slightly melty ice cream. In bowl, use whisk to combine milk and sugar until dissolved. Stir in heavy cream and peppermint. Turn ice cream maker on and pour mixture in for about 25 min. During the last 5 minutes of churning, slowly put in chopped chocolate. Put ice cream in airtight container for a few hours before enjoying, if you can wait that long. It’s wonderfully warm this summer, and that means one delicious thing for sure: fresh summer fruits! I’ve been diligently taking every opportunity to enjoy all the fresh fruits of the season. The kids know what’s for dessert every night: fruit! We’ve been on a strawberry binge. Farm fresh strawberries just can’t be beat. Unless they are paired with chocolate. Or double chocolate. So good and so simple – it takes just three ingredients you might already have in your kitchen. The biggest challenge? Trying not to keep “tasting” the chocolate, as if I don’t remember what chocolate tastes like. Wash and very gently dry the strawberries, keeping stems on. Set aside to finish air drying. Set dark chocolate in a glass or metal bowl, over saucepan of simmering water (bowl not touching water.) Stir frequently until chocolate is smooth and just melted. Don’t over cook, so the chocolate doesn’t seize up and thicken. Remove from heat once melted. Repeat melting process for white chocolate. 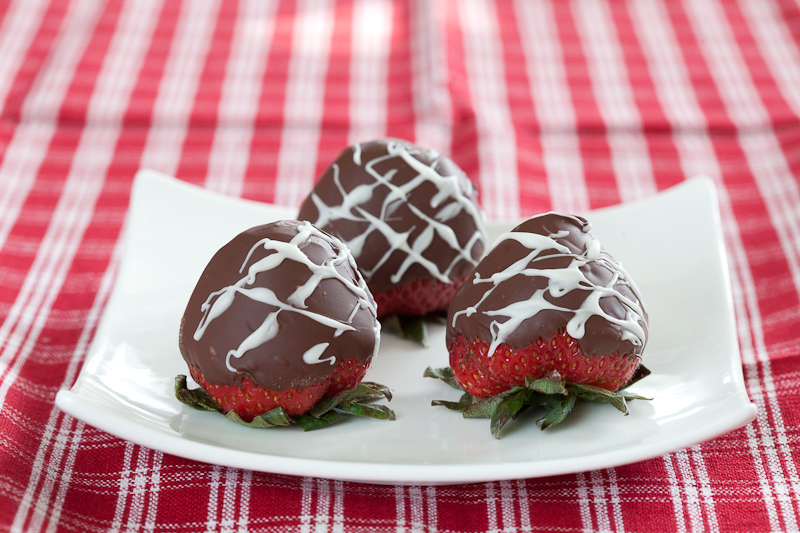 Using fork or toothpick, drizzle white chocolate over cooled chocolate strawberries. Return to fridge for at least an hour.